– First you want to tease the crown of your head to get some volume. – Next, divide your hair into two sections. – Starting with the left side, twist the hair all the way down and coil it up in a bun in the middle of your head. – Secure with a clear elastic and 2-3 pins. – Then twist and coil the right side all the way down. – Wrap that section around the first bun we have created. 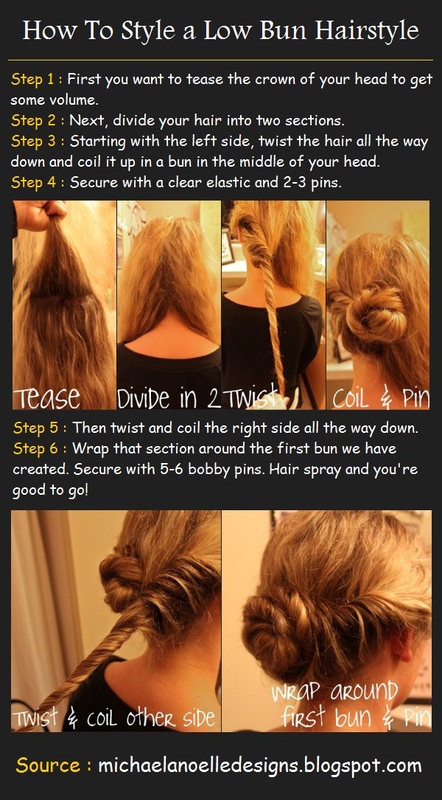 Secure with 5-6 bobby pins. Hair spray and you’re good to go!